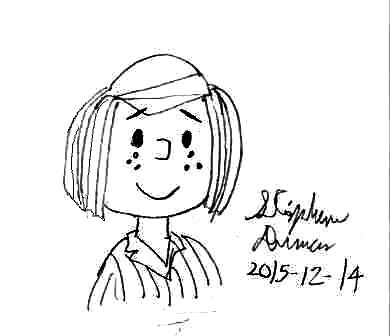 Here a fanart then I posted earlier on Deviantart of Peppermint Patty from the Peanuts comic strips then I drawed in an hurry as a gift for a Deviantart user nicknamed Dth1971. cute. I always liked her. you drew her well, and with a nice expression. Cool! Pat Peppermint! I am fan of Snoop (Peanuts)!